WHAT small-car drivers lack in horsepower, they apparently make up for in attitude. National insurance company AAMI has found that small-car drivers are more likely to be aggressive or reckless on the roads. The insurer has labelled the behaviour "small-car syndrome" and suggested that drivers may be using aggression to compensate for the limited size of their car. Women aged 18-24 are said to be the more likely offenders because they make up the highest proportion of small-car drivers. AAMI corporate affairs spokesman David Skapinker said small-car syndrome was concerning because of the increasing numbers of small cars on the roads. "Because of the rising cost of motoring, we're seeing a trend toward smaller cars becoming popular, so it's worrying if people feel the need to overcompensate for their smaller assets by displaying risky driving behaviours," he said. Mr Skapinker said small-car drivers were likely to gesture rudely or verbally abuse others drivers, and tailgate larger cars. "We've all seen them on the road, the little hatch or small sedan, darting in and out of traffic and getting upset when another driver either takes them to task on their conduct or for simply driving at the speed limit," he said. 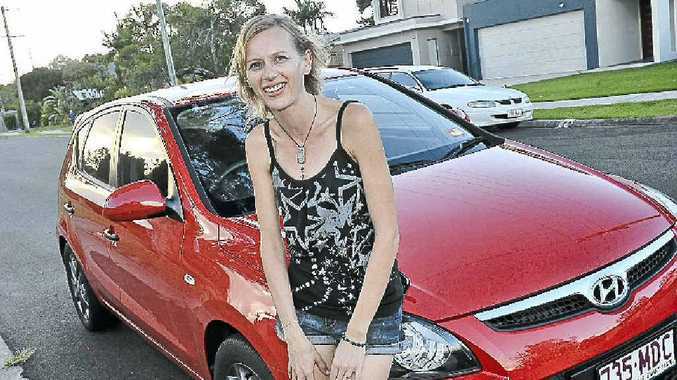 Juanita Henderson, 37, of Maroochydore, who drives a small Hyundai hatchback, said she did not class herself as an aggressive driver. Mrs Henderson used to drive a Mitsubishi Magna station wagon and said, "I drive no differently." The busy mother-of-two, businesswoman and part-time student acknowledged that she sometimes did not have the patience for people who disobeyed the road rules but she was not aggressive. "My friends know me as Driving Miss Daisy. If the speed limit is 50kph, it's not 51 or 52 (for me), it's 50," she said.